Linen_1_Inch_Binders is rated 5.0 out of 5 by 1. Whether you are in a bind or in a jam, these JAM binders will come to your rescue! The high quality combined with our great color assortments will leave you feeling secure and stylish at the same time. Being organized is probably the hardest superpower to come by, especially since it’s so easy to become lazy. With these binders your organization skills will beat that of Clark Kent’s - and he's works for a newspaper AND saves the world. You’ll never have to worry again. These binders are equipped to defeat any and all kryptonite. From laziness to disorganization, our binders will save the day, your college career, even your job! The linen texture is perfect for that stylistic edge you've been searching for. And our vibrant colors will make everyone cheer your name. You’ll be flying through the workday with these binders! 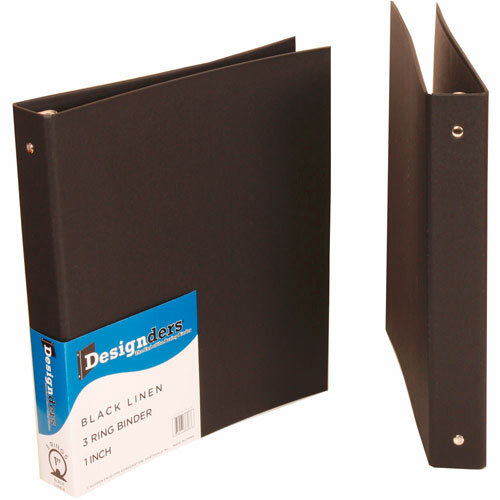 Linen 1 Inch Binders available in Black, Brown, Red, Orange, Grey, and White. The outer dimension measures 10 x 11 1/2.